DR. LUIS W. ALVAREZ, Nobel Laureate Physicist, Lawrence Berkeley Laboratory; Professor Emeritus, UC at Berkeley. MR. NEIL A. ARMSTRONG, Chairman, CTA, Inc.; Former Astronaut; Commander,Gemini 8 and Apollo 11; First Man to walk on the Moon. DR. PAUL J. COLEMAN, President, Universities Space Research Association; Assistant Director, Los Alamos National Laboratory; Professor,UCLA. DR. GEORGE B. FIELD, Senior Physicist, Smithsonian Astrophysical Observatory; Professor, Harvard University. LT. GEN. WILLIAM H. FITCH, USMC (RET. ), Defense Consultant; Former Head of Marine Corps Aviation. DR. CHARLES M. HERZFELD, Vice Chairman, Peterson, Jacobs, Ramo & Co.; Former Vice President, ITT Corporation; Former Director, Advanced Research Projects Agency. DR. JACK L. KERREBROCK, Associate Dean of Engineering, MIT; Former Associate Administrator, NASA. AMBASSADOR JEANE J. KIRKPATRICK, Professor, Georgetown University; Senior Fellow, American Enterprise Institute; Former Representative of the United States to the United Nations. DR. GERARD K.O’NEILL, President, Space Studies Institute; CEO, Geostar Corporation. DR. THOMAS O. PAINE, Chairman, NCOS: Former President, Northrop Corporation; Former Administrator, NASA. GEN. BERNARD A. SCHRIEVER, USAF (RET. ), Management Consultant, Schriever & McKee Inc.; Former Commander, Air Force Systems Command; Former Director, Air Force Ballistic Missile Program. DR. KATHRYN D. SULLIVAN, Shuttle Astronaut; First American Woman to walk in space; Adjunct Professor of Geology, Rice University. DR. DAVID C. WEBB, Consultant in the field of Space Development; Chairman, National Coordinating Committee for Space. DR. LAUREL L. WILKENING, Vice Chairman, NCOS; Vice President of Research and Dean of the Graduate School, University of Arizona; Planetary Scientist. BRIG. GEN. CHARLES E. YEAGER, USAF (RET. ), Test Pilot; First man to break the sound barrier. Aerobrake: An “air brake” used to slow a spaceship with the upper layers of a planet’s atmosphere to conserve the spaceship’s propellants. Artificial Intelligence (AI): The discipline of developing and applying computer systems to produce characteristics usually associated with intelligent behavior, e.g., understanding language, learning from experience, logical reasoning, problem solving, and explaining its own behavior. Automation: The use of electronic or mechanical machines to perform routine functions with minimal human intervention. Base: A permanently occupied center for people on the Moon, Mars, or in space that provides life support and work facilities; bases would evolve from outposts (See Outpost). Biosphere: The total environment of Earth that supports self-sustaining and self-regulating human, plant, and animal life, or an artificial dosed-ecology system in which biological systems provide mutual support and recycling of air, water, and food. Carbonaceous: A type of meteorite or asteroid containing significant percentages of water, carbon and nitrogen-essential elements, when processed, that would permit humankind to increase its independence from Earth. Closed-Ecology Life Support System (CELSS): A mechanical or biological system that recycles the air, water, and food needed to sustain human fife on a space station or base. Cycling Spaceship: A space station designed for human habitation that permanently cycles back and forth between the orbits of Earth and Mars. Ecosystem: A community of humans, plants, and animals together with their physical environment. Galaxy: An irregular, elliptic, disk- or spiral-shaped system containing billions of stars. Earth is situated in a spiral-shaped galaxy called the Milky Way, one of billions of galaxies in the Universe. Geostationary Earth Orbit: A circular orbit approximately 22,300 miles above Earth’s surface in the plane of the equator. An object in such an orbit rotates at the same rate as the planet and therefore appears to be stationary with regard to any point on Earth’s surface. It is a specific type of geosynchronous orbit. Heliosphere: The large region of space influenced by the Sun’s solar wind and the interplanetary magnetic field. This vast sea of electrical plasma activity may extend as far as 10 billion miles from the Sun, affecting the magnetospheres, ionospheres, and upper atmospheres of Earth and other Solar System bodies. Saturn, Uranus, Neptune, and Pluto. Libration Points: Unique points in space, influenced by gravitational forces of neighboring bodies, in which objects with the correct initial location and velocity remain fixed without significant expenditure of propellant. They are also called Lagrange points, after the French mathematician who calculated their existence. Magnetosphere: A region surrounding a planet, extending out thousands of miles and dominated by the planet’s magnetic field so that charged particles are trapped in it. Mass-Driver: An electromagnetic accelerating device for propelling solid or liquid material, for example, from Earth’s Moon into space, or for providing propulsion by ejecting raw lunar soil or asteroidal material as reaction mass. Microgravity: An extremely low level of gravity. As experienced by shuttle crews, for example, one millionth the level of gravity on Earth’s surface. Orbital Maneuvering Vehicle: A device used much like a “harbor tug” in ship operations, with remotely controlled manipulator arms to handle spacecraft and refueling operations with great care. Outpost: An initial location to provide shelter for a few people on the Moon or Mars; it may not be permanently occupied. Robotics: The use of automated machines to replace human effort, although they may not perform functions in a humanlike manner. SCRAMJET: A supersonic combustion ramjet engine which can operate in the hypersonic region of flight. Settlement: A permanent community of humans in space, or on the surface of the Moon or Mars with life support, living quarters and work facilities; it will evolve from a base (See Base). Spaceport: A transportation center in space which acts like an airport on Earth. It provides a transport node where passengers or cargo can switch from one spaceship to another, and a facility where spaceships can be berthed, serviced, and repaired. that can be remotely operated (See Orbital Maneuvering Vehicle). which would provide an operator on Earth’s surface or other location with the capability to carryout complex operations in space or on the surface of a planet or moon. Telescience: Conducting scientific operations in remote locations by tele-operation. Unpiloted: A spacecraft without human operators. Adelman, Morris A., et al. No Time to Confuse. San Francisco: Institute for Contemporary Studies, 1975. Akins, Faren, Mary Conners, and Albert Harrison. Living Aloft: Human Requirements for Extended Spaceflight. NASA SP-483. Washington, D.C.: NASA, 1985. Allen, Francis PL, et al. Technology and Social Change. New York: Appleton-Century Crofts, Inc., 1957. Allen, Joseph. Entering Space: An Astronaut’s Odyssey. New York: Stewart, Tabori & Chang, 1984. Asimov, Isaac. Cbange! Seventy-one Glimpses of the Future. New York: Houghton Mifflin Company, 1981. Barney, Gerald O. The Global 2000 Report to the President Envering the 21st Century. Vols. 1 and 2. Washington: Council on Environmental Quality and U.S. State Department, 1977. Beatty, J. Kelly, Andrew Chaikin, and Brian O’Leary, eds. The New Sokr System. Cambridge: Sky Publishing, 1981. Bekey, Ivan. “Tethers Open New Space Options.” Aeronautics and Astronautics, Vol. 2 1, April 1983, pp. 22-40. –.”Applications of Space Tethers.” New York: American Institute of Astronautics, 1984. IAF-84-436. –.”Space Station Operations Enhancement.” New York: American Institute of Astronautics, 1984. IAF-84-43. Bekey, Ivan, and Daniel Herman, eds. Space Stations and Space Pktforms–Concepts, Design, Infrastructure, and Uses, New York: American Institute of Aeronautics and Astronautics, 1985. Bernal, John. The World, the Flesh and the Devil; an Enquiry into the Future of the Three Enemies of the Rational Soul. London: K. Paul, Trench, Trubner and Co., Ltd., 1929. Boston, Penelope, ed. The Case for Mars. San Diego: American Astronautical Society, 1984. Botkin, James, et al. Global Stakes–The Future of High Technology America. New York: Penguin B6oks, 1984. Brown, Harrison, James Bonner, and John Weir. The Next Hundred Years. New York: Viking Press, 1957. Burke, James D., and April S. Whitt, eds. Space Manufacturing 1983. Advances in the Astronautical Sciences, Vol. 53. Proceedings of the Sixth Princeton/SSI Conference, May 9-12, 1983. San Diego: American Astronautical Society, 1983. Calder, Kent E., and Roy Hofheinz, Jr. The East Asia Edge. New York: Basic Books, Inc., 1982. Cetron, Marvin, and Thomas O’Toole. Encounters with the Future: A Forecast of Life into the 21st Century. New York: McGraw-Hill Book Company, 1982. Chaisson, Eric, and George Field. The Invisible Universe: Probing the Frontiers of Astrophysics. Boston: Birkhauser, 1985. Clarke, Arthur. 2001: A Space Odyssey. New York: New American Library, 1968.
Cooper, Henry S.F. Jr. A House in Space. New York: Holt Rinehart and Winston, 1976. Cortright, Edgar, ed. Apollo Expeditions to the Moon. NASA SP-350. Washington, D.C.: NASA, 1975. Drucker, Peter, F. America’s Next Twenty Years. New York: Harper Brothers, 1955. Ezell, Edward Chnton, and Linda Neuman Ezell. The Partnership: A History of the Apollo-Soyuz Test Project. Washington, D.C.: National Aeronautics and Space Administration, 1978. Faughnnan, Barbara, and Gregg Maryniak, eds, Space Manufacturing 5: Engineering with Lunar and Asteroidal Materials. Proceedings of the Seventh Princeton/AIAA/SSI Conference, May 8-11, 1985. New York: American Institute of Aeronautics and Astronautics, 1985. Fisher, John C. Energy Crises in Perspective. New York: John Wiley & Sons, 1974. Froehlich, Walter. Space Station: The Next Logical Step. NASA EP-213. Washington, D.C.: NASA, 1985. Furnas, C.C. The Next Hundred Years: The Unfinished Business of Science. New York: Reynal & Hitchcock, 1936. Gale, William, ed. Life in the Universe: The Ultimate Limits to Growth. Boulder: Westview Press, Inc., 1979. Goldsmith, Donald, ed. The Quest for Extraterrestrial Life-A Book of Readings. Mill Valley: University Science Books, 1980. Grey, Jerry, ed. Space Manufacturing Facilities (Space Colonies). Proceedings of the Princeton/AIAA/ NASA Conference, May 7-9, 1975, and includes Proceedings of the Princeton Conference on Space Colonization. New York: American Institute of Aeronautics and Astronautics, 1977. –. Space Manufacturing Facilities 11. Proceedings of the Third Princeton/AIAA Conference, May 9-11, 1977. New York: American Institute of Aeronautics and Astronautics, 1977. Grey, Jerry, and Lawrence A. Hamdan, eds. Space Manufacturing IV. Proceedings of the Fifth Princeton/AIAA Conference, May 18-21, 1981. New York: American Institute of Aeronautics and Astronautics, 1981. Grey, Jerry, and Christine Krop, eds. Space Manufacturing III: Proceedings of the Fourth Princeton/ ALAA Conference, May 14-17, 1979. New York: American Institute of Aeronautics and Astronautics, 1979. Hartmann, William, Ron Miller, and Pamela Lee. Out of the Cradle. New York: Workman Publishing, 1984. Hartmann, William K. Moons and Planets. Belmont, Calif.: Wadsworth Publishing Company, 1983. Kahn, Herman, William Brown, and Leon Martel. The Next 200 Years: A Scenario for America and the World. New York: morrow, 1976. Kahn, Herman. World Economic Development 1979 and Beyond. Boulder: Wemiew Press, 1979. Lee, Hahn Been. Future, Innovation and Development. Seoul: Panmun Book Company Ltd., 1982. Lewinsohn, Richard. Science, Prophecy and Prediction: Man’s Efforts to Foretell the Future-From Babylon to Wall Street. New York: Bell Publishing Company, Inc., 1961. Logsdon, John, M. The Decision to Go to the Moon: Project Apollo and the National Interest. Cambridge: Massachusetts Institute of Technology, 1970. McDougall, Walter. A. The Heavens and the Earth: The Political History of the Space Age. New York: Basic Books, Inc., 1985. Mckay, Christopher, ed. Case for Mars 11. Proceedings of the Second Case for Mars Conference, July 10-14, 1984. San Diego: Univelt Inc., 1985. Miller, Ron and William K. Hartmann. The Grand Tour: A Traveler’s Guide to the Solar System. New York: Workman Publishing, 1981. Minsky, Marvin, ed. Robotics. Garden City: Omni Press, 1985. Morrison, Philip, ed. The Search for Extraterrestrial Intelligence. NASA SP-419. Washington, D.C.: U.S. Government Printing Office, 1973. Napolitano, Luigi, G. ed. SPACE 2000. Selection of Papers Presented at the 33rd Congress of the International Astronautical Federation. New York: American Institute of Aeronautics and Astronautics, 1983. Nisbet, Robert. History of the Idea of Progress. New York: Basic Books, 1980. O’Neill, Gerard K. The High Frontier: Human Colonies in Space. New York: Morrow, 1976. –. 2081: A Hopeful View of the Future. New York: Simon and Schuster, 1981. O’Neill, Gerard K., and Brian O’Leary, eds. Space-Based Manufacturing from Nonterrestrial Materials. Technical Papers from the 1976 Summer Study at NASA/Ames Research Center. New York: American Institute of Aeronautics and Astronautics, 1977. Orwell, George. 1984. New York: Harcourt Brace Jovanovich, 1949. Preiss, Byron, ed. The Planets. New York: Bantam Books, 1985. Ramo, Simon. What’s Wrong with Our Technological Society and How to Fix It. New York: McGrawHill Inc., 1983. Sagan, Carl. Cosmos. New York: Random House, 1980. Schwartz, Michiel, and Paul Stares, eds. The Exploitation of Space. London: Butterworth & Co., 1985. Shelton, William. Soviet Space Exploration: The First Decade. New York: Washington Square Press, 1968. Shklovskii, I.S., and Carl Sagan. Intelligent Life in the Universe. New York: Dell Publishing Co., 1966. Simpson, Theodore, ed. The Space Station: An Idea Whose Time Has Come. New York: MEE Press, 1985. Smith, Marcia. Mars: The Next Destination for Manned Space Flight? U.S. Library of Congress. Congressional Research Service. CRS Report 84-20. Washington, D.C.: U.S. Library. of Congress, 1984. Smith, Marcia, Jane Gravelle and David Whiteman. Insurance and the Commercialization of Space. U.S. Congress. Senate. Committee on Commerce, Science, and Transportation. Washington, D.C.: U.S. Government Printing Office, 1985. Smith, Marcia, et al. Soviet Space Programs 1976-1980 (with supplementary data through 1983). 3 Volumes. U.S. Congress. Senate. Committee on Commerce, Science, and Transportation. Washington, D.C.: U.S. Government Printing Office, Vol. 1-1982; Vol. 2-1984; Vol. 3 1985. Smith, Marcia, and Daniel Zafren. Policy and Legal Issues Involved in the Commercialization of Space. U.S. Congress. Senate. Committee on Commerce, Science, and Transportation. Washington, D.C.: U.S. Government Printing Office, 1983. Solberg, Carl. Conquest of the Skies: A History of Commercial Aviation in America. Boston: Little, Brown and Company, 1979. Trefil, James. Space Time Infinity. Washington, D.C.: Smithsonian Books, 1985. U.S. Congress. House. Committee on Science and Tedmology. Assess Potential Gains and Drawbacks of Civilian Space Cooperation with the Soviets. Washington, D.C.: U.S. Government Printing Office, 1985. U.S. Congress. House. Committee on Science and Technology. Authorizing Appropriations for Landsat Commercialization (Report to accompany H.R. 2800). Washington, D.C.: U.S. Government Printing Office, 1985. U.S. Congress. House. Committee on Science and Technology. Background Materials on US-USSR Cooperative Agreements in Science and Technology. Washington, D.C.: U.S. Government Printing Office, 1975. U.S. Congress. House. Committee on Science and Technology. Brief on Mars Exploration. Washington, D.C.: U.S. Government Printing Office, 1976. U.S. Congress. House. Committee on Science and Technology. Civil Land Remote Sensing Systems. Washington, D.C.: U.S. Government Printing Office, 1981. U.S. Congress. House. Committee. on Science and Technology. Commemoration of the International Geophysical Year (Report to accompany H. Res. 514). Washington, D.C.: U.S. Government Printing Office, 1982. U.S. Congress. House. Committee on Science and Technology. Commercialization of Land and Weather Satellites. Washington, D.C.: U.S. Government Printing Office, 1983. U.S. Congress. House. Committee on Science and Technology. Commercial Space Launch Act (Report to accompany H.R. 3942). Washington, D.C.: U.S. Government Printing Office, 1984. U.S. Congress. House. Committee on Science and Technology. Establishing a Solar Power Satellite Research, Development, and Evaluation Program (Report to accompany H.R. 2335). Washington, D.C.: U.S. Government Printing office, 1979. U.S. Congress. House. Committee on Science and Technology. Establishment of a Solar Power Satellite Research, Development, and Demonstration Program (Report to accompany H.R. 12505). Washington, D.C.: U.S. Government Printing Office, 1978. U.S. Congress. House. Committee on Science and Technology. The Expendable Launch Vehicle Commercialization Act. Washington, D.C.: U.S. Government Printing Office, 1984. U.S. Congress. House. Committee on Science and Technology. Extraterrestrial Intelligence Research. Washington, D.C.: U.S. Government Printing Office, 1978. U.S. Congress. House. Committee on Science and Technology. Future Space Programs. Washington, D.C.: U.S. Government Printing Office, 1978. U.S. Congress. House. Committee on Science and Technology. Future Space Programs: 1981. Washington, D.C.: U.S. Government Printing Office, 1981. U.S. Congress. House. Committee on Science and Technology. Future Space Programs: 1975. Washington, D.C.: U.S. Government Printing Office, 1975. U.S. Congress. House. Committee on Science and Technology. H.R. 7412-The Space Industrialization Act of 1980. Washington, D.C.: U.S. Government Printing Office, 1980. U.S. Congress. House. Committee on Science and Technology. Initiatives to Promote Space Commercialization. Washington, D.C.: U.S. Government Printing Office, 1984. U.S. Congress. House. Committee on Science and Technology. International Cooperation and Competition in Space. Washington, D.C.: U.S. Government Printing Office, 1984. U.S. Congress. House. Committee on Science and Technology. International Space Activities, 1979. Washington, D.C.: U.S. Government Printing Office, 1979. U.S. Congress. House. Committee on Science and Technology. The International Geospherel Biosphere Program, 1984. Washington, D.C.: U.S. Government Printing Office, 1985. U.S. Congress. House. Committee on Science and Technology. The Land Remote-Sensing Commercialization Act of 1984-H.R. 4836 and H.R. 5155. Washington D.C.: U.S. Government Printing Office, 1984. U.S. Congress. House. Committee on Science and Technology. The Land Remote-Sensing Commercialization Act of 1984 (Report to accompany H.R. 5155). Washington D.C.: U.S. Government Printing Office, 1984. U.S. Congress. House. Committee on Science and Technology. Landrat Commercialization. Washington, D.C.: U.S. Government Printing Office, 1985. U.S. Congress. House. Committee on Science and Technology. NASA’s Five Year Plan. Washington, D.C.: U.S. Government Printing Office, 1983. U.S. Congress. House. Committee on Science and Technology. NASA’s Space Station Activities. Washington, D.C.: U.S. Government Printing Office, 1983. U.S. Congress. House. Committee on Science and Technology. National Space Policy. Washington, D.C.: U.S. Government Printing Office, 1982. U.S. Congress. House. Committee on Science and Technology. The Need for a Fifth Space Shuttle Orbiter. Washington, D.C.: U.S. Government Printing Office, 1982. U.S. Congress. House. Committee on Science and Technology. The Need for Increased Space Shuttle Orbiter Fret. Washington, D.C.: U.S. Government Printing Office, 1982. U.S. Congress. House. Committee on Science and Technology. Review of Materials Processing in Space. Washington, D.C.: U.S. Government Printing Office, 1983. U.S. Congress. House. Committee on Science and Technology. Review of the National Aeronautic; and Space Act of 1958. Washington, D.C.: U.S. Government Printing Office, 1983. U.S. Congress. House. Committee on Science and Technology. Review of the National Aeronautics. and Space Act of 1958, as Amended. Washington, D.C.: U.S. Government Printing Office, 1984. U.S. Congress. House. Committee on Science and Technology. Review of Space Shuttle Requirements, Operations, and Future Plans. Washington, D.C.: U.S. Government Printing Office, 1984. U.S. Congress. House. Committee on Science and Technology. Solar Power Satellite. Washington, D.C.: U.S. Government Printing Office, 1978. U.S. Congress. House. Committee on Science and Technology. Solar Power Satellite. Washington, D.C.: U.S. Government Printing Office, 1979. U.S. Congress. House. Committee on Science and Technology. Space Commercialization. Washington, D.C.: U.S. Government Printing Office, 1983. U.S. Congress. House. Committee on Science and Technology. The Space Industrialization Act of 1979. Washington, D.C.: U.S. Government Printing Office, 1979. U.S. Congress. House. Committee on Science and Technology. The Space Nuclear Reactor Program. Washington, D.C.: U.S. Government Printing Office, 1983. U.S. Congress. House. Committee on Science and Technology. Space Industrialization. Washington, D.C.: U.S. Government Printing Office, 1977. U.S. Congress. House. Committee on Science and Technology. Space Shuttle Requirements, Operations and Future Plans. Washington, D.C.: U.S. Government Printing Office, 1984. U.S. Congress. House. Committee on Science and Technology. Transfer of CW Meteorological Satellites (Report to accompany H. Con Res. 168). Washington, D.C.: U.S. Government Printing Office, 1983. U.S. Congress. House. Committee on Science and Technology. United States-Civilian Space PolicyWashington, D.C.: U.S. Government Printing Office, 1980. U.S. Congress. House. Committee on Science and Technology. United States Civilian Space Policy. Washington, D.C.: U.S. Government Printing Office, 1981. U.S. Congress. House. Committee on Science and Technology. U.S. Science and Technology Under Budget Stress. Washington, D.C.: U.S. Government Printing Office, 1982. U.S. Congress. House. Committee on Science and Technology. U.S.-Soviet Satellite Accord: SARSATI COSPAS Search-and-Rescue Program. Washington, D.C.: U.S. Government Printing office, 1984. U.S. Congress. House. Committee on Science and Technology. US-USSR: Key Issues in Scientific Exchanges and Technology Transfer. Washington, D.C.: U.S. Government Printing Office, 1978. U.S. Congress. Senate. Committee on Commerce, Science, and Transportation. Agreement Governing the Activities of States on the Moon and Other Celestial Bodies. Washington, D.C.: U.S. Government Printing Office, 1980. U.S. Congress. Senate. Committee on Commerce, Science, and Transportation. Civil Remote Sensing Satellite System. Washington, D.C.: U.S. Government Printing Office, 1980. U.S. Congress. Senate. Committee on Commerce, Science, and Transportation. Commercial Space Launch Act. Washington, D.C.: U.S. Government Printing Office, 1984. U.S. Congress. Senate, Committee on Commerce, Science, and Transportation. Hearings on the Future of Space Science and Space Applications. Washington, D.C.: U.S. Government Printing Office, 1978. U.S. Congress. Senate. Committee on Commerce, Science, and Transportation. The Moon Treaty. Washington, D.C.: U.S. Government Printing Office, 1980. U.S. Congress. Senate. Committee on Commerce, Science, and Transportation. Operational Remote Sensing Legislation. Washington, D.C.: U.S. Government Printing Office, 1979. U.S. Congress. Senate. Committee on Commerce, Science, and Transportation. Space Law: Selected Basic Documents. 2nd edition. Washington, D.C.: U.S. Government Printing Office, 1978. U.S. Congress. Senate. Committee on Commerce, Science, and Transportation. A Symposium on the Future of Space Science and Applications. Washington, D.C.: U.S. Government Printing Office, 1978. U.S. Congress. Senate. Committee on Commerce, Science, and Transportation. U.S. Civilian Space Policy. Washington, D.C.: U.S. Government Printing Office, 1979. U.S. Department of Commerce. Bureau of the Census. Historical Statistia of the United States. Washington, D.C.: U.S. Government Printing Office. U.S. National Academy of Sciences. National Research Council. Assembly of Mathematical and Physical Sciences. Astronomy Survey Committee. Astronomy and Astrophysics for the 1980’s. Washington, D.C.: National Academy Press, 1982. U.S. National Academy of Sciences. National Research Council. Space Science Board. Report on Space Science 1975. Washington, D.C.: National Academy Press, 1976. U.S. National Academy of Sciences. National Research Council. Space Science Board. Committee on Solar and Space Physics. An Implementation Plan for Priorities in Solar-System Space Physics. Washington, D.C.: National Academy Press, in press. U.S. National Academy of Sciences. National Research Council. Space Science Board. Committee on Space Biology and Medicine. Life Beyond the Earth’s Enviromment–The Biology of Living Organisms in Space. Washington, D.C.: National Academy Press, 1979. U.S. National Academy of Sciences. National Research Council. Space Science Board. Committee on Solar and Space Physics. Solar System Space Physia in the 1980’s–A Researcb Strategy. Washington, D.C.: National Academy Press, 1980. U.S. National Academy of Sciences. National Research Council. Space Science Board. Committee on Earth Sciences. A Strategy for Earth Science from Space in the 1980’s. Part I: Solid Earth and Oceans. Washington, D.C.: National Academy Press, 1982. U.S. National Academy of Sciences. National Research Council. Space Science Board, Committee on Earth Sciences. A Strategy for Earth Science ftom Space in the 1980’s and 1990’s. Part II. Atmosphere and. Interactions with the Solid Earth, Oceans, and Biota. Washington, D.C.: National Academy Press, 1985. U.S. National Academy of Sciences. National Research Council. Space Science Board. Committee on Planetary and Lunar Exploration. Strategy for Exploration of the Inner Planets: 1977-1987. Washington, D.C.: National Academy Press, 1978. U.S. National Academy of Sciences. National Research Council. Space Science Board. Committee on Planetary and Lunar Exploration. Strategy for the Exploration of the Primitive Solar-System Bodies Asteroids, Comets and Meteoroids: 1980-1990. Washington, D.C.: National Academy Press, 1980. U.S. National Academy of Sciences. National Research Council. Space Science Board. Committee on Gravitational Physics. Strategy for Space Research in Gravitational Physics in the 1980’s. Washington, D.C.: National Academy Press, 1981. U.S. National Aeronautics and Space Administration. 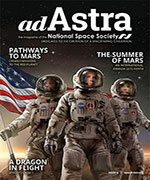 America’s Next Decades in Space: A Report for the Space Task Group. 0-365-738. Washington, D.C.: U.S. Government Printing Office, 1969. U.S. National Aeronautics and Space Administration. A Forecast. of Space Technology 1980-2000, NASA SP-387. Washington, D.C.: NASA, January, 1976. U.S. National Aeronautics and Space Administration. NASA 1986 Long-Range Program Plan. Washington, D.C.: NASA, August, 1985. U.S. National Aeronautics and Space Administration, NASA Advisory Council. Planetary Exploration Through the Year 2000: A Core Program. Washington, D.C.: NASA, 1983. U.S. Office of Science and Technology. President’s Science Advisory Committee. Space, Science, and Technology Panel Report. The Next Decade in Space. 0-378-385. Washington, D.C.: U.S. Government Printing Office, March, 1970. U.S. Office of Technology Assessment. International Cooperation and Competition in Civilian Space Activities. Washington, D.C.: Office of Technology Assessment, 1985. U.S. Office of Technology Assessment. Civilian Space Stations and the U.S. Future in Space. Washington, D.C.: Office of Technology Assessment, November , 1994. U.S. Office of Technology Assessment. U.S./Soviet Cooperation in Space: A Technical Memorandum. Washington, D.C.: Office of Technology Assessment, July, 1985. U.S. Space Task Group. Report to the President. The Post-Apollo Space Program: Directions for the Future. Washington, D.C., U.S. Government Printing Office, September, 1969. Von Braun, Wernher. Space Frontier. New York: Holt Rinehart and Winston, 1963. Von Braun, Wernher, Frederick Ordway, and Dave Dooling. Space Travel A History–An Update of the History of Rocketry and Space Travel. New York: Harper & Row, 1985. 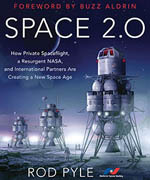 Webb, David C. Trends in the Commercialization of Space. Washington, D.C.: Aerospace Industries Association, 1985. World Bank. World Development Report, 1983. Washington, D.C.: Oxford University Press, 1983.